differencemakers community blog: Are you the 1 in 100? Are you the 1 in 100? So I am changing myself." 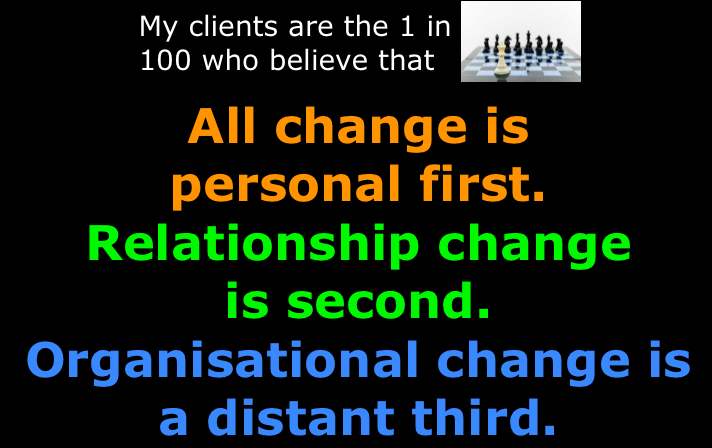 The 99 when they talk about change, what they really mean is everyone else changing and not them. What are the human problems your business solves? What are you creating that will live forever? What stories have you shared lately?